Many law firms are missing out by not using content marketing to win new clients. If your firm is one of them, read this white paper to find out why and how your firm should be using content marketing. To receive your copy of the white paper, simply complete the form below and we will email it to you. 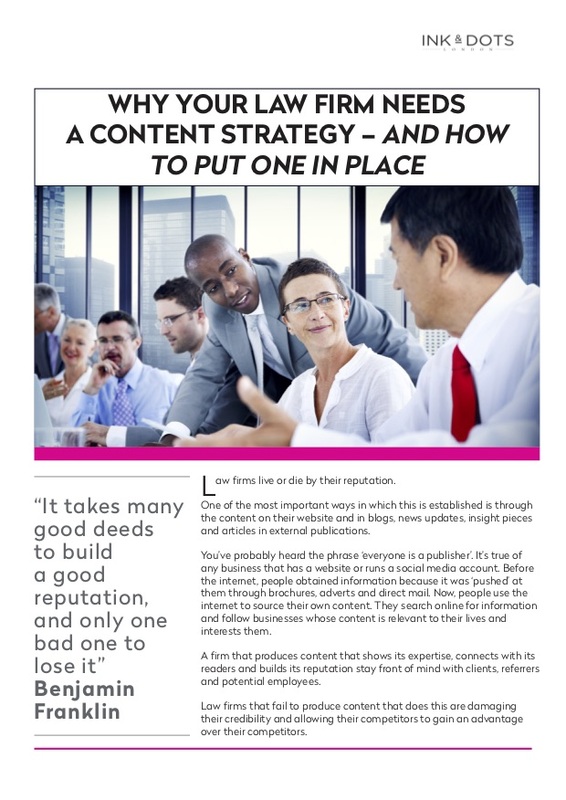 Thank you for downloading your white paper, Why Your Law Firm Needs a Content Marketing Strategy – and How to Put One in Place. I hope you find it interesting and useful.